Ben’s wines have become a firm favourite at the shop since he burst onto the scene last year. 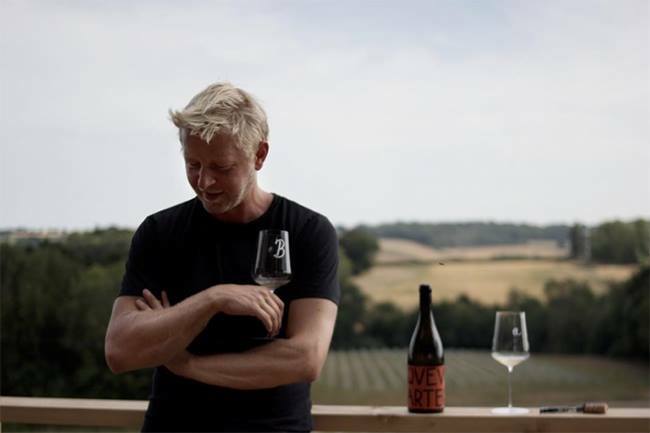 We feel they represent the contemporary face of British winemaking: snappy wines, discerningly presented, with a natural approach and creative methods that show deference to the great winemaking nations whilst also remaining quintessentially English in their sense of place. Cool-climate wines of great personality. Ben will be showing some house favourites for those yet to get acquainted, and also a clutch of new releases from the unprecedented 2018 vintage, along with a few forthcoming tank samples to boot. We’ll be pouring from 6pm. As ever, our tastings are informal and free to attend, with no lecture-style format. Call by at any point in the evening, grab a glass and taste through the wines with Ben on hand to tell you more about them and how they came to be so. All the selections will be available by the glass if you’d like to have a drink or two with us afterwards, and to take home by the bottle should you find something you really like.